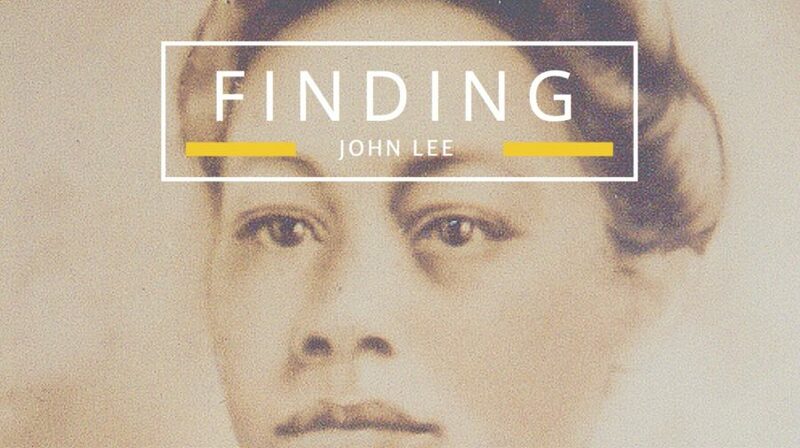 Finding John Lee: Part One - Scattered Pieces - who is nicka smith? He lived, he procreated, he died, and there were very little signs of him except for those in my DNA. After 17 years, his story is now coming to life. In genealogy, there are times where we can’t wrap our ancestors’ stories in nice boxes with ornate bows. This is indeed one of those cases. Meet one of my Whodini ancestors, Mr. John Lee. *gives applause* He’s one of my 16 great great grandparents. I had no idea the exact date and location of Grandpa John’s birth and death or any information regarding his parents or lineage when I began researching in 1999. No real oral history. No vital records. Nada. I did know he had to be old enough to have conceived my great grandmother, Susie Lee Atlas, with my great great grandmother, Clora Evans Atlas (nee Marshall, Williams). 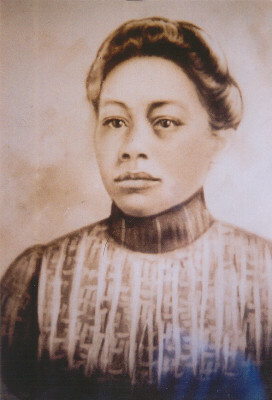 Susie Lee Atlas, my great grandmother. Susie Lee Atlas was born March 27, 1877 at Shelburn Plantation in newly created East Carroll Parish, Louisiana. Just a couple days prior, East Carroll and West Carroll Parishes were one parish – Carroll. Susie, as per her own account in the Civil War pension file of her grand uncle, Louis Carson (1), was raised in East Carroll and spent most of her life in the home of Louis and his wife, her great aunt, Caroline Russell Carson. Her account gave no mention of her father, but did mention her mother and maternal grandmother. The nearest census to her birth was 1880, and while I didn’t find her exact name on it, I’m pretty sure that the male child noted as Noel Carson on the 1880 US Census (2) with Louis, Caroline, and Grandma Clora is probably Grandma Susie based on pension file account she gave. I also have her documented her through her marriage (3) to my great grandfather, Louis Balfour/Bareford Atlas, Sr. on November 1, 1894, on the 1900 (4), 1910 (5), 1920 (6), and 1930 (7) US Census, and through her death on January 29, 1938 (8). That death certificate notes that her father is John Lee and the informant was her husband Louis. There were murmurings in the family about her allegedly having a brother through Grandpa John that lived in Arkansas, but nothing had ever been confirmed. A search of the U.S. Census in Carroll and East Carroll Parish yielded no results for Grandpa John as well. Carroll Parish LA Mortgage Book L Page 93 Evans and Lee to Alling. Source: East Carroll Parish Clerk of Court, Lake Providence, LA. Grandma Clora (noted as Cloe) and Emeline were sharecropping on land supervised by John Lee but owned by William Alling, hence the use of the term hirelings (Thanks to my geneabud Judy Russell, The Legal Genealogist, for clearing this up for me.). In the absence of a marriage license, this labor contract connected a John Lee to Grandma Clora and an area landowner named William Alling just two years before the birth of Grandma Susie. Carroll Parish LA Mortgage Book O Page 224 John Lee to Wm Alling. Source: East Carroll Parish Clerk of Court, Lake Providence, LA. This document appears to connect the same John Lee to Alling again, this time, in reference to a sharecropping contract. At this point, we turned to geography to provide some clues. This notation alerted us to the fact that Shelburn, Grandma Susie’s birthplace, and Black Bayou, where Grandpa John had leased land and where Grandma Clora sharecropped, were located next to one another. Through the Fire? Or not? After a period of time, I came across two notations in the Banner Democrat, the local paper in East Carroll, regarding a John Lee. It wasn’t in the good section though. Woah. This wasn’t sounding so good, but I couldn’t throw my weight behind the fact these notations were about my Grandpa John. Other than having the same name, there was no conclusive proof that this John Lee was Grandpa John. I decided to tuck these things into my “genealogical rainy day fund” – a tickler file of sorts for things you find and feel in your gut are connected to your ancestors but haven’t found the direct tie yet. But then, I found another notation on the same page as the December 14th one above. The Banner Democrat (Lake Providence, LA) December 14, 1895, page 3. Source: Library of Congress. Was the John Lee, who had an assault charge dismissed in November 1895, the same man who was alleged to have set fire to the residence of T.J. Sanders and was allegedly shot in December 1895? 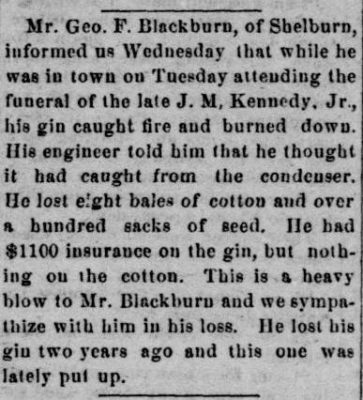 Was he the same person who set fire to the cotton gin owned by George Blackburn, a descendant of the Blackburns noted above? Was this same man my Grandpa John? At this point, there was no way I could make heads or tails of whether they were the same person. But soon, DNA came in to answer a lot of questions and more. Stay tuned for part 2! (1) US Army Widow’s Pension, Case of Caroline Carson, widow of Louis Carson, No. 1066,472, Deposition I, Susan Atlass, May 7, 1918, Lake Providence, East Carroll, Louisiana, USA. JB Steed, Special Examiner, Bureau of Pensions. (2) “United States Census, 1880,” database with images, FamilySearch (https://familysearch.org/ark:/61903/1:1:MD6G-K2P : 24 December 2015), Noel Carson in household of Louis Carson, 5th Ward, East Carroll, Louisiana, United States; citing enumeration district ED 32, sheet 638C, NARA microfilm publication T9 (Washington D.C.: National Archives and Records Administration, n.d.), roll 0453; FHL microfilm 1,254,453. (3) East Carroll Parish Clerk of Court, Marriage Book F, Page 406. Louie B. Atlas to Susan Lee, November 1, 1894. FHL/DGS film 311909, accessed April 14, 2011 at the FamilySearch Library, 35 West Temple, Salt Lake City, UT 84150. (4) “United States Census, 1900,” database with images, FamilySearch (https://familysearch.org/ark:/61903/1:1:MS53-H6P : 20 January 2015), Susie Atlas in household of Lewis Atlas, Ward 3, East Carroll, Louisiana, United States; citing sheet 3B, family 64, NARA microfilm publication T623 (Washington, D.C.: National Archives and Records Administration, n.d.); FHL microfilm 1,240,564. (5) “United States Census, 1910,” database with images, FamilySearch (https://familysearch.org/ark:/61903/1:1:MPTT-HJL : 29 October 2015), Susan Atlas in household of Louis B Atlas, Police Jury Ward 3, East Carroll, Louisiana, United States; citing enumeration district (ED) ED 42, sheet 8A, NARA microfilm publication T624 (Washington, D.C.: National Archives and Records Administration, n.d.); FHL microfilm 1,374,526. (6) “United States Census, 1920,” database with images, FamilySearch (https://familysearch.org/ark:/61903/1:1:MVQ2-2X1 : 14 December 2015), Susan Atlas in household of Louis Atlas, Police Jury Ward 3, East Carroll, Louisiana, United States; citing sheet 16B, NARA microfilm publication T625 (Washington D.C.: National Archives and Records Administration, n.d.); FHL microfilm 1,820,611. (7) “United States Census, 1930”, database with images, FamilySearch (https://familysearch.org/ark:/61903/1:1:XMYZ-47H : 8 December 2015), Susie L Atlas in entry for Lewis B Atlas, 1930. (8) Atlas, Susie, date of death: January 29, 1938, East Carroll Parish, state file number 31. FHL/DGS film 1575806 Item 2, accessed April 14, 2011 at the FamilySearch Library, 35 West Temple, Salt Lake City, UT 84150. (9) Carroll Parish Louisiana, Mortgage Book L, Page 93, Evans and Lee to Alling. Accessed April 19, 2010 at the East Carroll Parish Clerk of Court Office, 400 First Street, Lake Providence, LA 71254. (10) Carroll Parish Louisiana, Mortgage Book O, Page 224, John Lee to Alling. Accessed April 19, 2010 at the East Carroll Parish Clerk of Court Office, 400 First Street, Lake Providence, LA 71254. (11) Page 241. Pinkston, Georgia Payne Durham. A Place to Remember: East Carroll Parish, LA 1832-1976. Baton Rouge, LA: Claitor’s, 1977. Print. (12) Page 4. The Banner-Democrat. (Lake Providence, East Carroll Parish, La. ), 02 Nov. 1895. Chronicling America: Historic American Newspapers. Lib. of Congress. <http://chroniclingamerica.loc.gov/lccn/sn88064237/1895-11-02/ed-1/seq-4/>. Accessed July 17, 2016. (13) Page 3. The Banner-Democrat. (Lake Providence, East Carroll Parish, La. ), 14 Dec. 1895. Chronicling America: Historic American Newspapers. Lib. of Congress. <http://chroniclingamerica.loc.gov/lccn/sn88064237/1895-12-14/ed-1/seq-4/>. Accessed July 17, 2016.